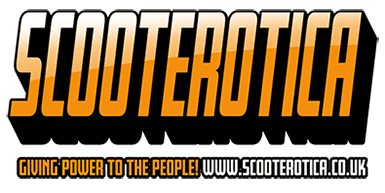 Every month we will offer a small piece of basic yet essential advice to scooter owners. 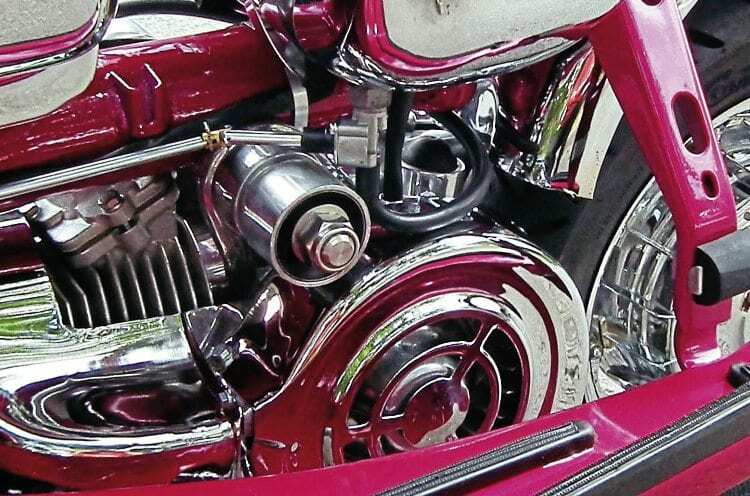 This month: don’t hole a piston – fix your fuel lines! 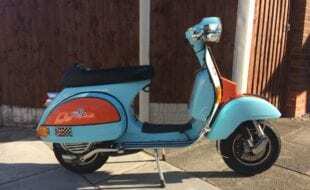 The scooter fuel line only has one simple task, to supply the carburettor with petrol from the fuel tank. Unfortunately it is often overlooked and in some cases neglected. Poor fuel flow can not only cause your engine to stop running but possibly make the fuel mixture run weak or lean, in turn leading to an engine seizure or holing of the piston. For the sake of quick easy maintenance an embarrassing breakdown or expensive engine failure can easily be prevented. 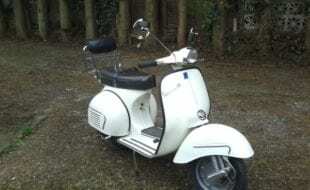 On a traditional Lambretta engine the fuel line only has a short distance to run from the petrol tap on the left hand side to the carburettor. 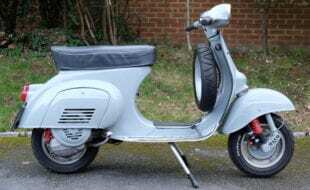 Following the introduction of the TS1, and subsequently several other kits, the distance of the fuel line is much greater as the carburettor sits on the right hand side of the engine. Any interruption along the extended distance will be greatly exaggerated and flow rate greatly reduced. The first thing to look at is the pipe itself. A nice shiny PVC pipe may look good but isn’t always up to the job. After a few weeks, reaction from the petrol will cause it to go hard and possibly out of shape. Quite often this will lead to a kink being created — the number one cause of poor flow rate. Consequently it may leak from the banjo or petrol tap even if a clip is used to seal it off. There can also be a wide variation in the thickness of the pipe available. The thicker the pipe the more difficult it is to get a flowing curve from each joint. The solution is to buy the correct pipe in the first place, proper nitrile rubber fuel pipe being the answer. This is widely available on the internet at a cost of around £3 per metre, being petrol resistant means it will stay flexible indefinitely too. When pushed on to the petrol tap or banjo it moulds itself around a joint, thus eliminating the need for clumsy jubilee clips or cable ties to seal correctly. Once you have the correct pipe make sure you have the exact length fitted. 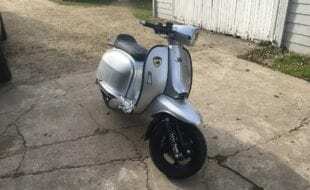 Too short and it may cause the pipe to tear or pull off a joint as the engine flexes, too long and it may rub on the side panels causing a leak. 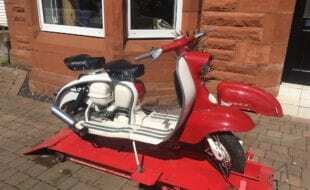 In the case of right hand side carburettors as the pipe goes underneath the frame make sure it is away from the bump stop, even though there isn’t much room for manoeuvre here. 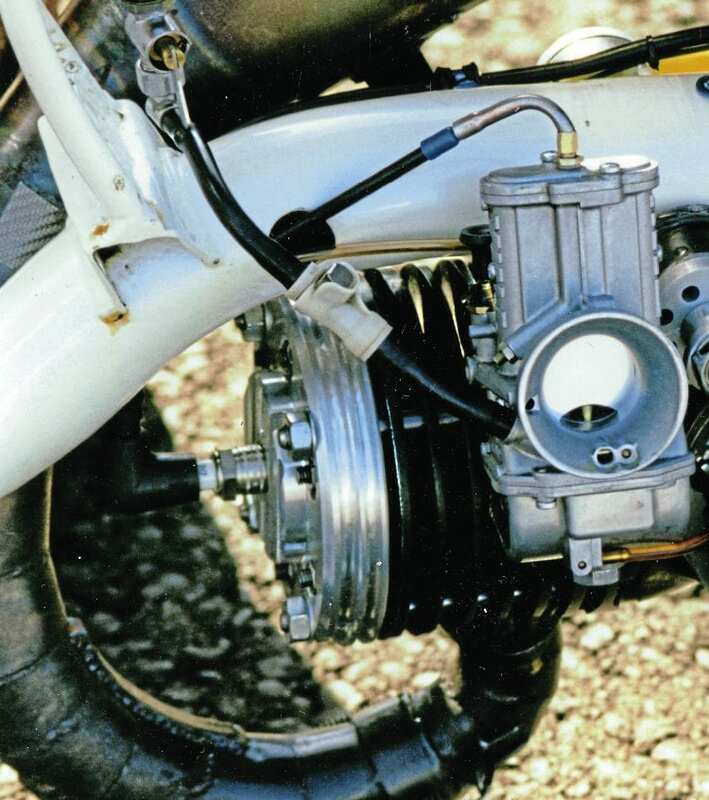 If directly under the bump stop there have been cases of the pipe being cut or torn when the suspension has bottomed out. Having the correct pipe and length in place will eliminate any of these problems occurring in the future. Another possible fitment to the pipe which may be of help or hindrance is the in-line fuel filter. 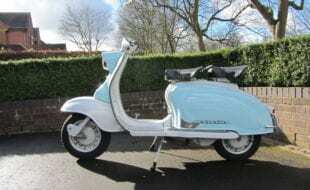 I know excess grit can occur in a Lambretta fuel tank from bead blasting after a restoration, which prompts some owners to use one. Before using one check its flow rate. If flow is restricted then don’t fit it under any circumstances. 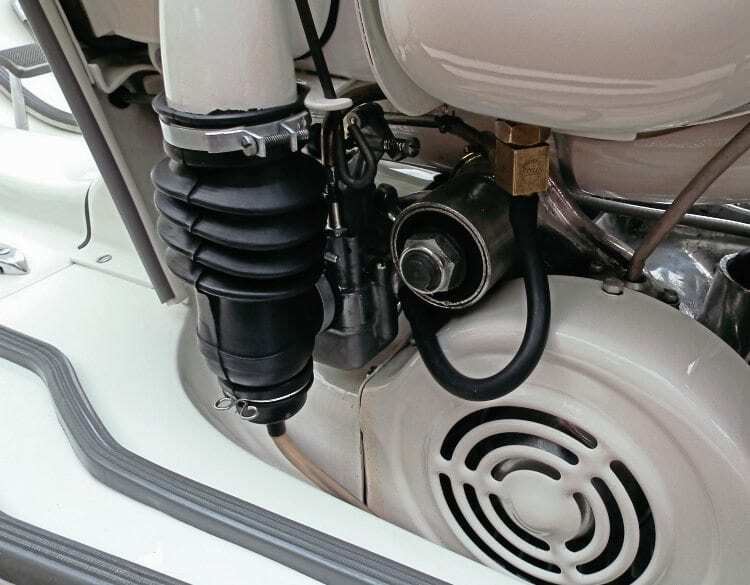 There has been some debate over the years as to whether they restrict fuel flow or not, but with a filter already fitted in the petrol tap I question whether they are necessary at all. If you do choose to fit one make sure it is of good quality. Where possible choose a clear one so any residue can easily be detected and cleaned out regularly to prevent build up. 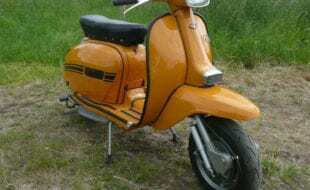 Fuel flow rate should be checked at regular intervals and certainly before any long journey. Though the fuel pipe may be fine, from time to time dirt can build up in the tap itself or the breather can become blocked affecting flow rate. 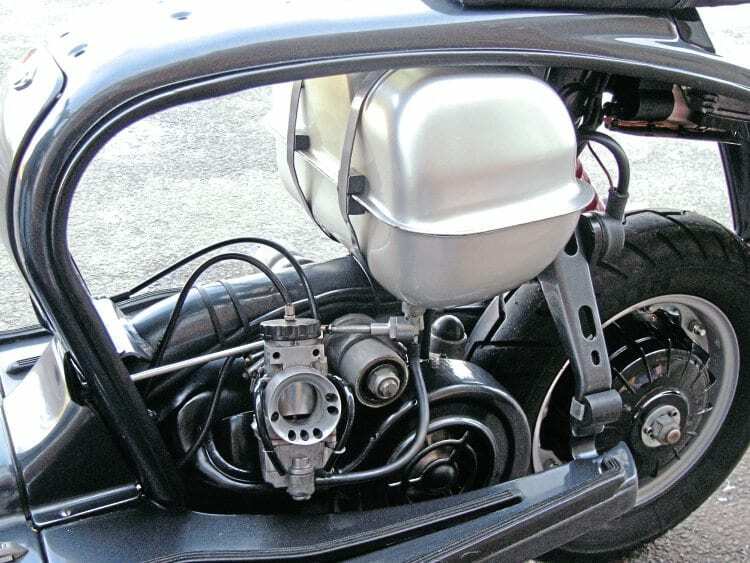 To check remove the fuel pipe from the carburettor banjo and turn on the tap. Fuel should flow at a fast rate, filling the complete bore of the pipe. If it doesn’t then you know something is obstructing the flow. A good tip here is to check the rate on both normal and reserve positions on the tap so you know both are clear from obstruction. Rather than pulling the pipe off from the banjo each time an easier solution is to fit a quick release coupler. Inserted anywhere between the pipe length it allows the pipe to be disconnected in an instant. 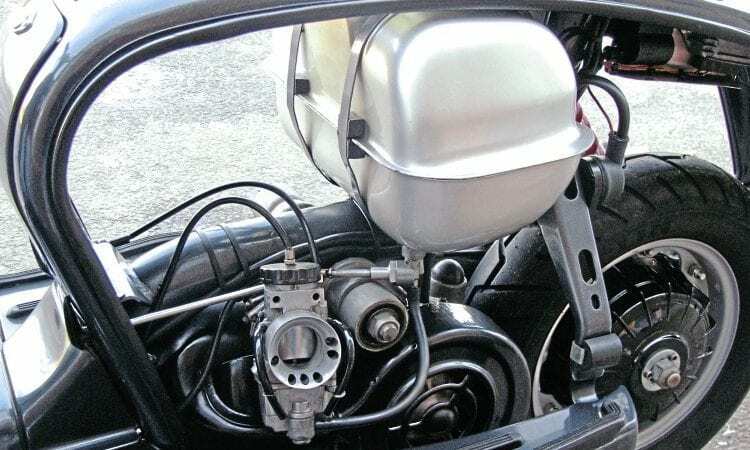 This immediately closes the valve in the coupler with the end connected to the carburettor sealed off preventing fuel from escaping. Now you can turn the petrol tap on and check the flow rate without having pulled the pipe off. Once finished, clip the ends of the valve back in position and the pipe is reconnected. Initially designed for quick release on race engines they don’t affect or restrict flow rate in anyway. 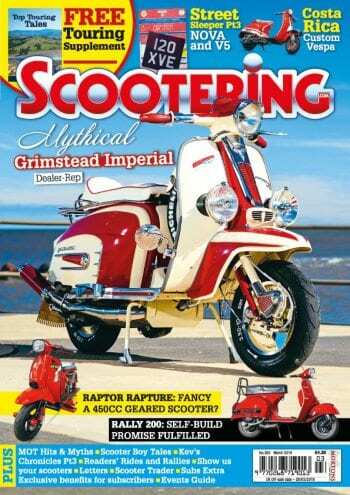 As an added bonus it allows easy quick release of the carburettor without fuel spillage. Finally, just as a precaution, always carry a spare length of fuel pipe in your toolbox. If for some reason it does split or gets pierced by a stone flying up off the road at least you can change it and continue on your journey.